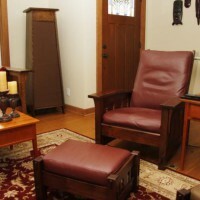 I had built a pair of Eros Mk II a few years ago and they were great, but tall boxes are not the greatest answer around some of the other furniture I have built, so I started looking for a way to make these things fit into the look of the rest of the room full of Arts and Crafts furniture. 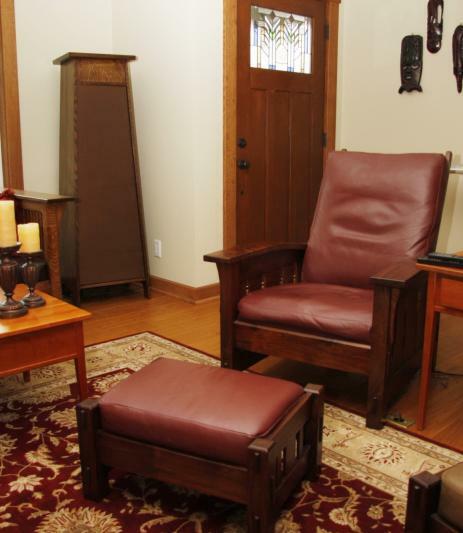 The basic design of these new cabinets came from Wood Magazine and are what are known as Roycroft Bookshelves. A very little modification to that design and I now have even taller and better looking cabinets. We even found some antique speaker cloth that matches these cabinets coloring extremely well. 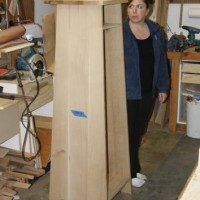 Each of these cabinets now weigh about 140 lbs. 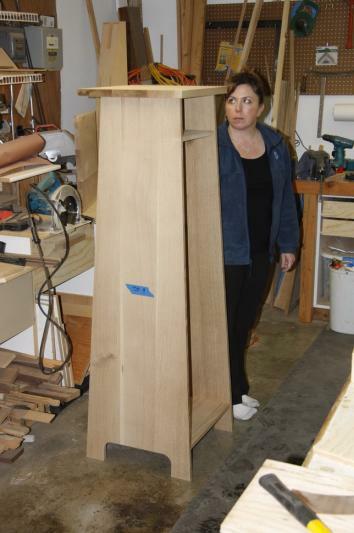 and raised the 4′ tall speaker box about 5″ for a total height of 5′ 4″. The base footprint is 19″ x 19′. 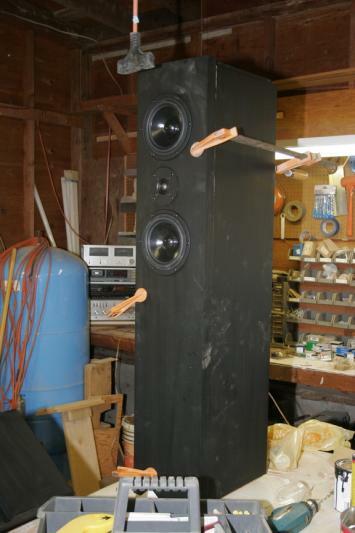 Someday I could even change out the Eros design speakers with another similar size speaker, or possibly make use of the the unused volume in a new design. 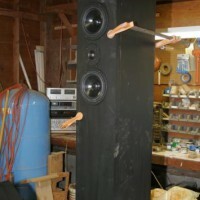 I’m an advanced woodworker and a neophyte speaker builder.